KATHMANDU, Jan 2: While several parts of the country on Sunday experienced intermittent rainfall as well as snowfall, meteorologists have stated that the extreme chill will continue for one more day. This sudden drop of temperature is the result of the howling winds that entered Nepal from the Mediterranean Sea, according to the experts. 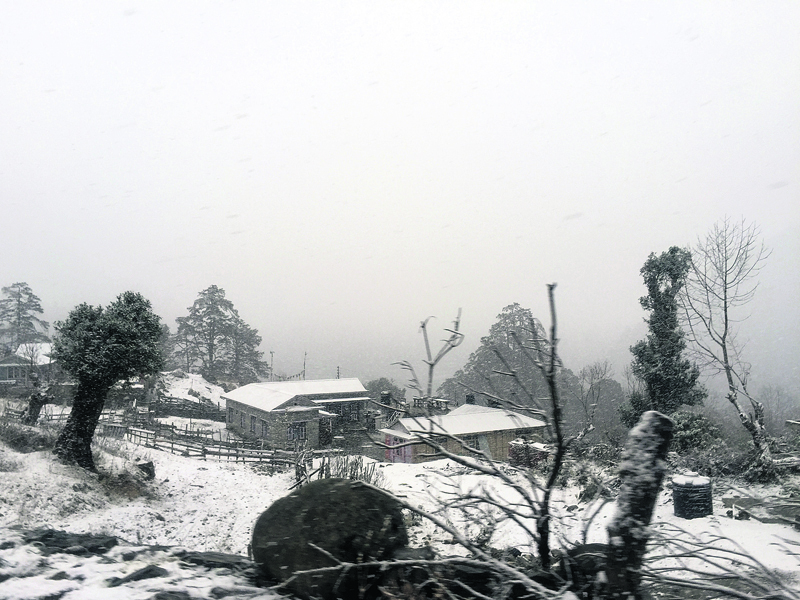 "The cold will increase on Sunday and Monday but it is likely to improve from Tuesday," said Raju Pradhananga, senior meteorologist at the Department of Meteorology and Hydrology. "This change in weather is the result of western disturbance and has been observed for the second time in last one month. Earlier on December 25, it had affected only the high mountains of the Western Region but this time it has extended to other areas, including the capital. Pradhananga further elaborated that the heavy wind entering through Jammu and Kashmir hit the mountains causing rainfall and even snowfall. "Due to the sudden change in weather, people in various parts of the country could not see the sun because," Pradhananga added. 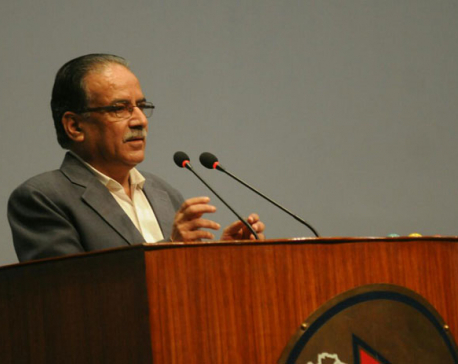 According to him, even though the minimum temperature has not been affected the maximum temperature has slipped down disturbing the daily life of people. Heavy snowfall was observed on Sunday in the Himalyan districts of Nepal like Manang and Mustang. This threw people's normal life out of gear. Though the snow is likely to attract more tourists, the chill might trouble the locals and tourists equally. According to the locals in those areas, extreme chill is a challenge to their health and normal life. Meanwhile, Ashok Kumar Thapa, a local of Kathmandu, said that Sunday was the first time he felt like this year's winter season had really arrived. "Till yesterday, it felt just so normal. I was wearing minimal clothes. But today, suddenly the chill was extreme," he said. "Cold is biting my toes and my fingertips. Yes, the winter has arrived!"